At some point in every Florida kid's life, you just have to cool it with the seashells. Summer after summer, jar after jar, eventually your parents' house starts to look like King Triton’s palace. Well, I've finally decided to do something with all the (mollusk) skeletons in my closet. It started with this pair of earrings, but it is slowly becoming a category of its own. One benefit of having such a selection of shells at my disposal is the ease of finding two that match, or mostly match. (We all know “matching” is out anyway. They “go”— so much cooler.) If you are near a beach, it's actually pretty easy to find shells with holes already in them, but if you can't comb for your own shells, check out Etsy for a selection of craft-ready shells for sale. Then, your only step is to string the shell and bead on the ear wire. Kidney wires are super easy, no pliers needed. Just open the earring and slide the shell on first, followed by the gold bead. Repeat. And done. Yay! 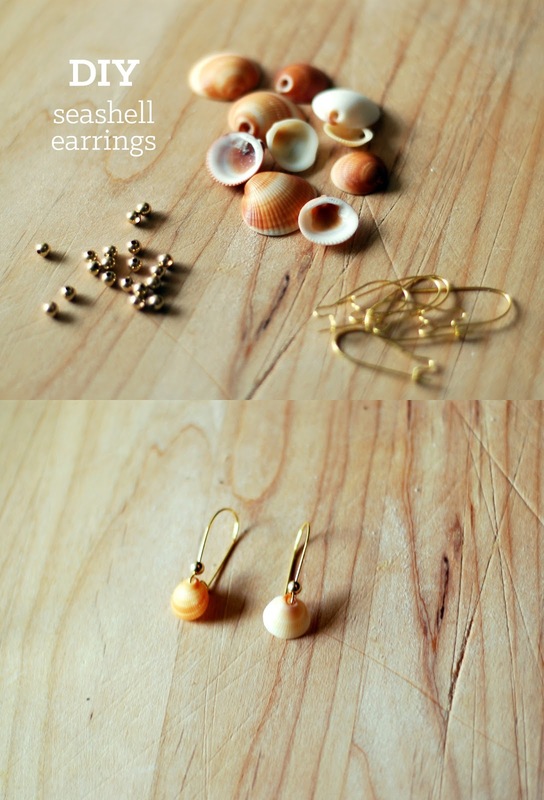 A lovely new pair of sea shell dangle earrings!